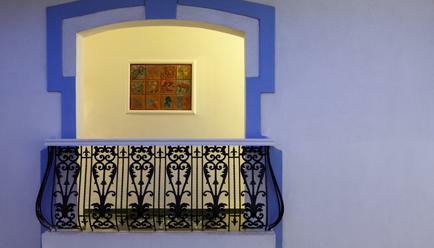 Invoking an old-world charm, the walls of the Amarante Beach Resort are adorned with medieval oil paintings that remind one of the glorious bygone eras. 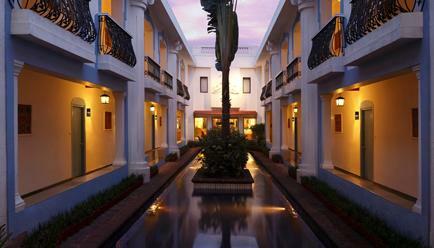 The visually stunning resort looks like a place right out of a 15th-century romance novel. An ideal holiday abode for couples, honeymooners as well as families, the Amarante has all the bases covered when it comes to offering a luxurious and tranquil stay. 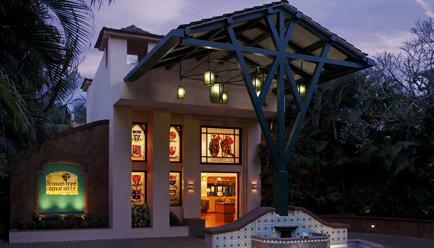 Enveloped within lush greenery, the Amarante is located in Northern Goa. 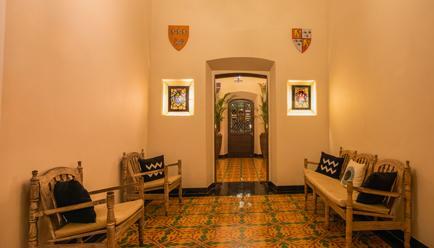 Decked with intricate tile work, artefacts, heraldry, paintings and stained glasses this beautiful resort stands tall at the Candolim Beach. 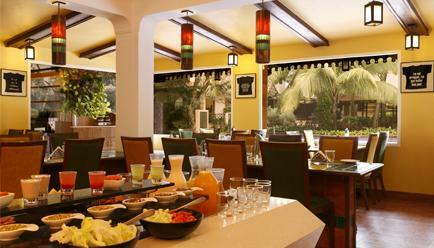 Every day at Goa is a celebration of life. Blessed with nature’s bounty, Goa has numerous beaches and lush vegetation that add to its laid-back charm and festive vibe. While the vintage churches and monuments tell the tales of its rich cultural heritage, its beach shacks and nightclubs give one the taste of the contemporary lifestyle. 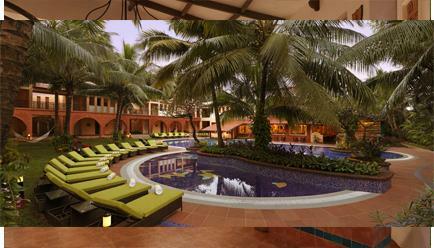 An amalgamation of extremes, Goa is a traveller’s heaven. 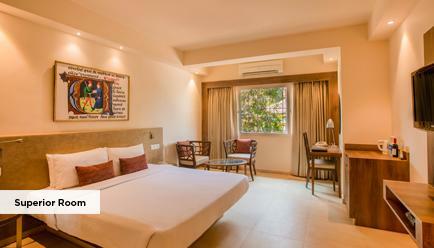 Located a short stroll away from the picturesque Candolim Beach, the Amarante is set amidst serene water bodies. 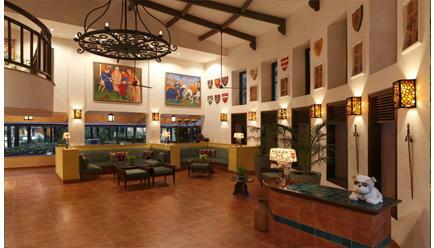 Meant to inspire and evoke a sense of poetry, the historic Portuguese theme of the resort has a strong aesthetic appeal. 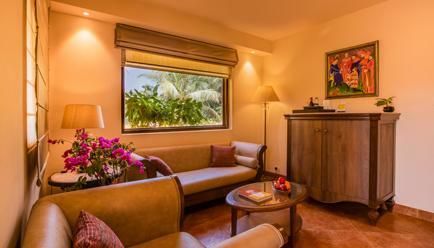 The rooms offer an opulent garden view which can be enjoyed from the cosy sit-out areas attached to them. 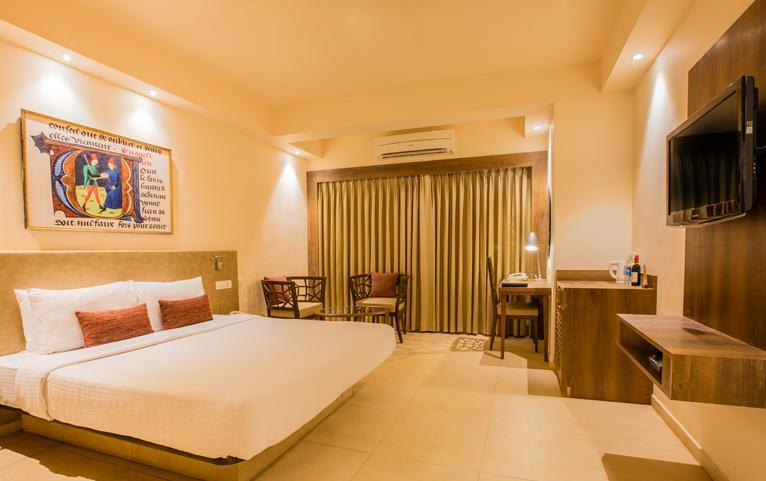 Equipped with modern amenities like a mini bar, tea/coffee maker, electronic safe and king-sized bed the Superior Rooms make for a very comfortable and pleasant stay. 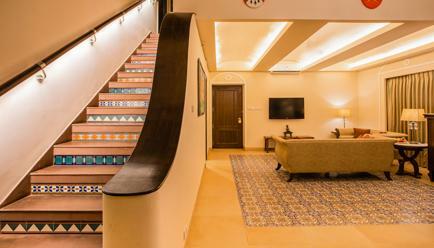 Extra Guest Policy: Where applicable, an extra adult can stay at a surcharge of INR 1500 per room per night, with an extra bed and the inclusions available in the package, payable directly at the resort. Child Policy: A child (aged between 0-5 years) may stay free of charge. 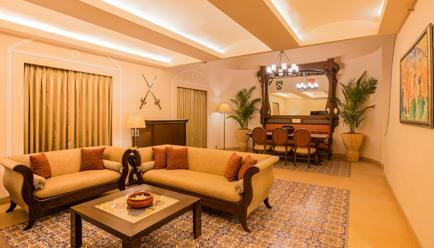 Where applicable, a child aged between 6-12 years may stay at a surcharge of INR 1500 per room per night, which includes an extra bed and the inclusions available in the package, payable directly to the resort. Pool: Isn’t this what dream vacations are made of. Take a dip in the luxurious swimming pool with a spectacular view of the sea. Activity Centre: The well-equipped activity centre features a host of entertainment options like a carrom board, foosball table, table tennis setup, pool table, PlayStation and a mini library. The Citrus café a multi-cuisine coffee shop that offers an all-day dining menu and the award-winning Pan-Asian restaurant, Republic of Noodles. 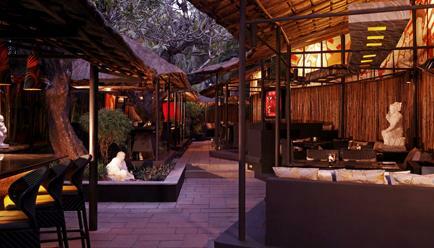 Mango Bar: The open-air Bar, which is set around an old well, serves an extensive range of wines and spirits. Fresco Spa: The world-class spa at the resort offers a range of healing massage therapies ranging from Thai foot massages to Balinese body massages. 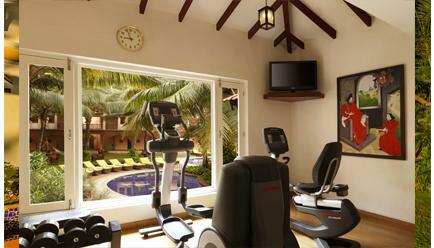 Fitness Centre: Sweat it out at the Amarante fitness centre equipped with all your training needs. Goa can be reached by air from any major airport in India. 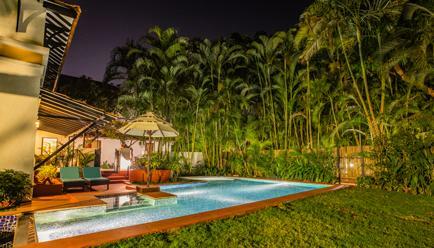 The resort is 41 km (approx 50 minutes) away from the airport and can be accessed by road. The Amarante is a 600 km (approx 10.5 hours) ride from Mumbai and 560 Km( approx. hours) ride from Bangalore. Goa has a very well-connected railway-line. One can travel to the Vasco-Da-Gama railway station from any major city in India. The railway station is located 45 km (approx. 75 minutes) away from the resort.